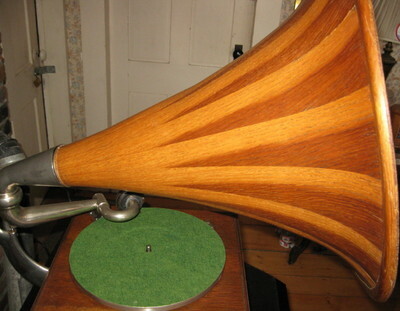 The two tone wooden horn is in great shape and looks wonderful and sounds nice. 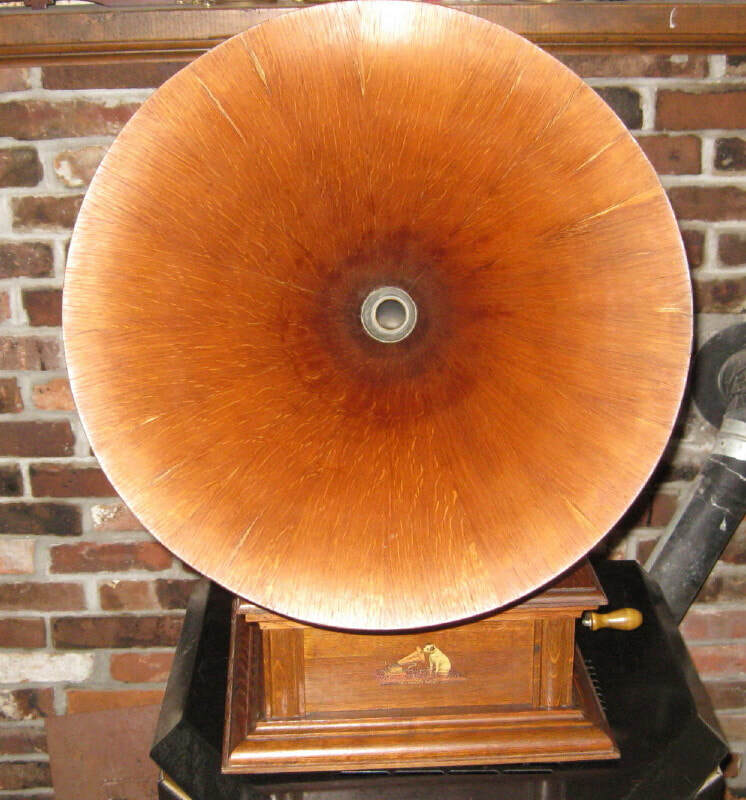 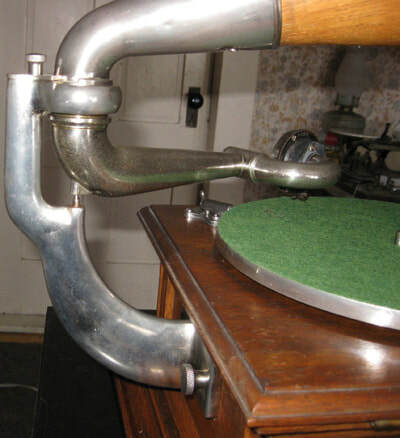 This horn along would run you $1200.00 by itself in this condition, so it helps make that total phonograph a wonderful buy and a great looking phonograph to have in your home! We have completely gone through the phonograph and have serviced the motor, installed 2 new mainsprings and have rebuilt the reproducer. It just looks and sound incredible! 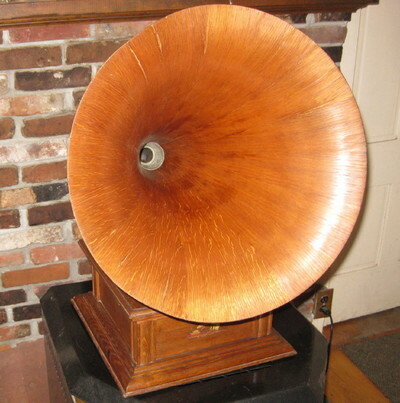 ​If you have any questions or are interested in purchasing this phonograph please give us a call at 802-748-4893 or 800-239-4188 or email us at victrola@victrolarepairservice.com. We would be happy to play it over the phone for you as well.